Death Rides....a bicycle | Flickr - Photo Sharing! Open your eyes<::::::::::::::::::::::::::::, and 33 other people added this photo to their favorites. It appears that he has found a target! Well done! 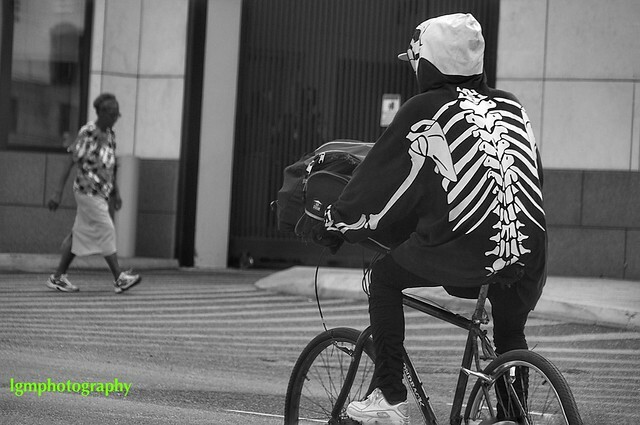 lol i was thinking about the reaper on a peddling jaunt. super grab, fun and documentary, too. he looks to be a messenger and that would be a very cool look for a messenger, but i'm not sure who would want to get HIS message!